Independent developers, n-Space and Digital Extremes, announced today that their upcoming Sword Coast Legends™, a party-based RPG set in the Dungeons & Dragons Forgotten Realms universe from Wizards of the Coast, will be released simultaneously on Steam for Windows PC, Mac and Linux operating systems in Q3 2015. Today, Wizards of the Coast announced Rage of Demons, the new storyline for Dungeons & Dragons fans coming in Fall 2015. The demon lords have been summoned from the Abyss and players must descend into the Underdark with the iconic hero Drizzt Do’Urden to stop the chaos before it threatens the surface. Rage of Demons is the story all D&D gamers will be excited to play this fall, whether they prefer consoles, PCs or rolling dice with friends. Following on the critically-acclaimed Tyranny of Dragons and Elemental Evil stories, Rage of Demons will transport characters to the deadly and insane underworld. Rumors of powerful demon lords such as Demogorgon, Orcus and Graz’zt terrorizing the denizens of the Underdark have begun to filter up to the cities of the Sword Coast. The already dangerous caverns below the surface are thrown into ultimate chaos, madness and discord. The renegade drow Drizzt Do’Urden is sent to investigate but it will be up to you to aid in his fight against the demons before he succumbs to his darker temptations. There are several ‘post-apocalypse’ games around, even ones using the D20 ruleset, so what sets this one apart? The Introduction sets out the underlying philosophy: Man is a destructive beast, and it’s not unlikely that sometime he’ll nearly pound himself out of existence, very likely by mistake. The rot set in during the Second World War, when research led to the first atomic bombs, and continued with other scientific ‘advances’ until the calamity that sets the scene for this game. Taking a date prophesied by the Mayans as marking the end of the current age, 21 December 2012, a rapidly-escalating nuclear exchange is postulated, leading to an ‘exodus’ of survivors seeking safety in underground shelters from which they have finally emerged some twenty years later. 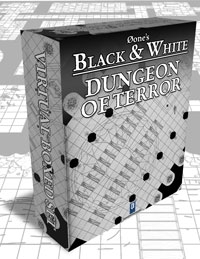 It’s a delightful conceit – a ‘virtual boxed set’ – harking back to the cardboard boxes that used to contain much of one’s gaming treasures… and this too is full of treasure, namely all eight parts of 0one’s Dungeon of Terror mapset with a few bonus goodies as well: a big DM’s map, random encounter tables and template pages on which you can record your notes about the various rooms. If you want to use the dungeon entire, this is well worth acquiring. The eight parts of the mapset, which are also available separately if you have already decided that you only require a part of this vast complex, are presented as separate PDF files in your download, as are the three bonus items… and a JPEG image which is the one that appears in product advertising (I’d have liked a larger one of just the ‘box lid’ art to use as cover to a folder or even in on a hand-made box to make it a REAL boxed set!). The work opens with a foreword by David ‘Zeb’ Cook in which he muses on the durability of his invention, the aboleth – a monster with an almost-thirty year history and which features large in this book. A fascinating muse on how the aboleth came to be later, Chapter 1: Lost Cities of Myth and Legend explores the inspirations for this setting. Legends of fantastic civilizations lost to the deeps provide plenty of ideas, after all, as well as a compelling lure for characters looking for somewhere to explore. For that’s the intent of this setting: exploration, rather than somewhere to actually live as a denizen of the deeps. 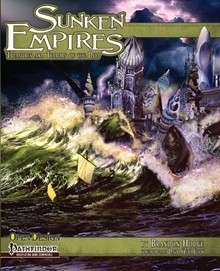 The legendary civilizations of Atlantis, Lemuria and Mu are detailed, along with thought-provoking ideas on how to use them as inspiration for your own sunken empire, before the text launches into the design of a new lost city called Ankeshel for your characters to research and explore. Ankeshel draws on both real-world myths and the Pathfinder setting, with some Theosophist theories mixed in for good measure, including the concept of vril. The original human inhabitants were taught magic and mathematics by a strange tentacled, 3-eyed amphibious race. Needless to say, it all ended in tears and the city was lost… until recent discoveries began to bring tantalizing glimpses of what once was back into general knowledge. Happy 9th Birthday, Malhavoc Press! Time to celebrate Malhavoc’s birthday and save! It’s been NINE years since Malhavoc Press released The Book of Eldritch Might as a PDF. To celebrate, we’re discounting all of our eBooks 30% off or more for one week only, May 21 to 28, 2010. This is a great time to check out a book you passed on earlier or grab up the ones you’ve been meaning to get anyway – including big ticket titles like Ptolus or Arcana Evolved! Time to stock up on those PDFs – for this week only you can buy many of our titles for less than five bucks each! 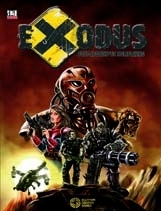 Stop by and check them out on DriveThruRPG.com and RPGNow.com. 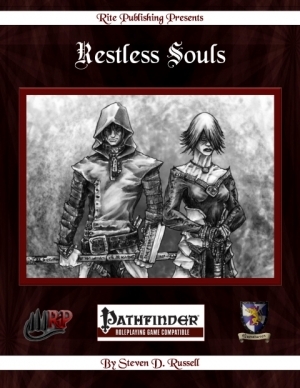 Restless Souls comes to the gaming table with the interesting idea of playing a character who is not quite dead and not quite living either. This thirteen page add-on to your d20 or Pathfinder game is an expansion of the Questhaven campaign world by Rite Publishing, but the content within can easily be adapted to just about any fantasy setting. Within its pages, you will find a new template which will transform any (now dead) creature into a restless soul, along with twenty-two new feats and ten new spells. The idea behind Restless Souls is a good one, and even as I read the opening introduction, as told by one of the restless dead themselves, ideas were already running through my head about how I could use this in one of my games. Restless souls, it is explained, are those who died having left some critical task yet unfinished — what adventurer doesn’t, right? 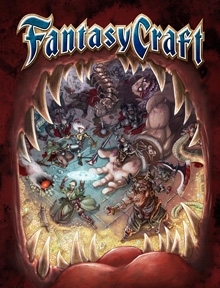 Honed by years of experience with the D20 ruleset, Fantasy Craft opens with the clear premise: this is YOUR game, and the rules are but the toolset to enable you to run it how you like. That said, the Introduction continues with the usual information about what role-playing is, definitions of players, characters, the game master and the like… but throughout the point is continually stressed that you will be choosing the precise nature of the world in which your game will run, from a range of time periods to the relative levels of technology and magic. 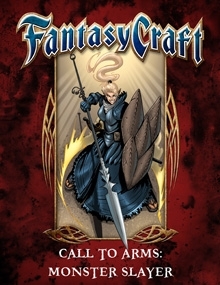 The Call to Arms line from Crafty Games delivers single player character types. The three I’ll look at today are the Gallant, Infernalist, and Monster Slayer (a good mix to say the least). Each of these PDFs are about six pages long, but only have three pages of usable material. Pages one and two constitute the cover art and credits. Page six has the mandatory legalese. The question now becomes this: are three pages worth $1.75? Let’s find out! As my legions of fans know, I’m not fond of fantasy games. I can’t quite define why elves and arrows or clerics and castles don’t appeal to me. Even fantasy settings with a hint of horror like Ravenloft don’t capture the essence of what I look for in a campaign. Ravenloft, however, is on the right track. Today, I’m looking at Fantasy Craft through a dark tint. With little effort, the options provided in this game can make an excellent fantasy or horror setting. That said, this review will look a little differently as I try to include some seeds to make this setting a little more frightening. Fall is afoot and those shadows will be growing longer. Who isn’t ready for campfires and Halloween? 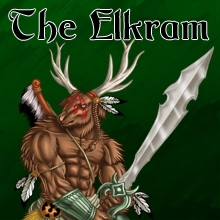 Elkram is a tightly focused PDF supplement for 4E D&D. 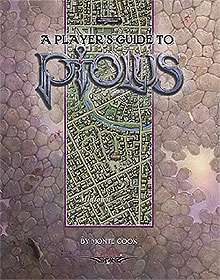 It offers a new race and all the requisite information needed as a player or DM to integrate this race into your game world. The creatures in question here are “Elk-Rams,” or bi-pedal elks with large sharp horns. The supplement offers a complete overview of this race, their place in the world, rules for players and feats as well as a paragon path. Elkram is an interesting concept for a 4E supplement. The 4E platform is very modular, which is to say it is easy to design a single piece separate from the rest of the game and then drop that into an existing game world. There is no end to the possibilities of what could be designed in this fashion (e.g. single races, classes, paragon paths, epic destinies, small collections of magic items or rituals, etc). It is a shame that the first such supplement I have seen use this insightful creation method leaves a great deal to be desired in the area of design. FINAL WEEK to buy d20 MasterKit products! Last Call for Goodman Games 3.5 products! TWO DOLLAR SALE! Goodman Games 3.5 d20 products are only $2.00 until December 31, when they go off sale forever. Buy now while you still can! 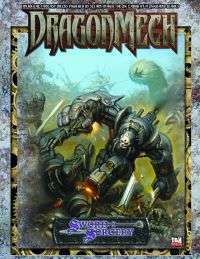 This sale includes: DragonMech Complete Guide Series Xcrawl …and many more d20 titles. 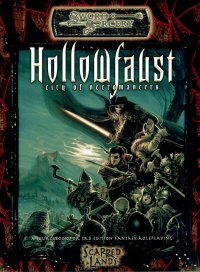 Get ’em before they disappear forever, these titles are available at RPGNow.com. Green Ronin Publishing announced today that it would keep its classic d20 System titles available under its new 3rd Era brand name. The process began this week with the re-release of six books in PDF format and will continue on a regular basis until all the titles are updated. Lunar rains cascade down upon the blasted landscape of Highpoint. Lunar demons raze the ruins of once-great civilizations and assault the under-realms harboring the last of dying races. Across the surface of this once-great world, only the giant City Mechs hold sway, lumbering across charred and corrupted lands, seeking truth, beauty and a new beginning. The world of “DragonMech” by Goodman Games is a post-apocalyptic fantasy setting where humans, dwarves, elves and other races have turned to technology to protect them in their final days. The first Shadowrealm Preview was posted back in May here on Flames Rising. We also have an interview with Paul S. Kemp that tells us a bit about the novel. Shadowrealm is book three of the Twilight War and is available for pre-order at Amazon.com. Today we have another snippet from the upcoming novel for fans to enjoy. The scene features the fallen paladin, Abelar Corrinthal. I am a sucker for the undead. In the history of my D&D experience I have always gravitated toward playing necromancers. There was something awe-inspiring about those who used their magic to alter the rules of death. One thing all of my necromancers have in common is that none of them were evil. The idea of the black-cloaked cackling lunatic, raising shambling hordes was so cliche as to be completely uninteresting to me. A good or neutral wizard who used the walking dead to battle the true evils of the world: that was a concept I could get behind. This book had me at Lawful Good Lich. We produced a great deal of OGC under D20. Most of these books are now out of print, with just PDF copies available – by the end of the year these will disappear too, as it is not realistic for us to remove D20 licensing off every product we produced over the years. Just too many! However, it seems a shame to have all this material simply disappear, so. . . If there is any interest, we would be prepared to make the vast majority of our D20-based content available freely. In the past, there has been talk about an OGC Wiki of sorts, and I think we can kick such a project off in a sizeable way. We’ve had our review of the 4th Edition Dungeons & Dragons posted for a few days already. The review seems to be pretty popular as well. We also reported that Wizards of the Coast will be a Co-Sponsor at GenCon recently. Flames Rising is primarily a Horror & Dark Fantasy website, but we really can’t ignore a new edition of D&D. Other sites with a bit more focus on the game have plenty of interesting discussion going on, the RPGNet D&D Forum, EN World and Story Games, just to name a few. Initial reports have been pretty positive, some retailers are mentioning decent sales and online offers from Amazon.com and Noble Knight Games also seem to be in high demand. The Shield of Weeping Ghosts Available Now! A group of warriors from Rashemen escorts an exiled wizard to a ruined citadel in the City of Weeping Ghosts. Once there, the wizard discovers a barbarian tribe is trying to unlock the secrets of the citadel and the weapon that destroyed it two thousand years ago. A series that centers on the citadels – castles, keeps, fortreeses, and watchtowers – of the Forgotten Realms world, each book in The Citadels series is a self-contained fantasy adventure.